Morphine High Effects: What Does Morphine Feel Like? Morphine is regularly used for medical purposes by helping to relieve pain. However, prolonged use of Morphine can lead to addiction and other negative effects. But how does Morphine affect the brain and what does Morphine feel like? This article explains the features of a Morphine high and how it affects each person, including its common side effects and after high effects. What are the Morphine After the High Effects? Morphine is an opioid painkiller that comes from the poppy plant. Like all other opioids, it is a useful painkiller. However, that comes at a price. The drug is highly addictive, and due to its sedentary effects, it is commonly used as a way to get high. Because of the effects of Morphine on the brain, misuse of the drug is becoming a common occurrence. During Morphine pills high, the user experiences decreased anxiety and generally becomes more relaxed. Despite this, not all of Morphine highs effects are positive. 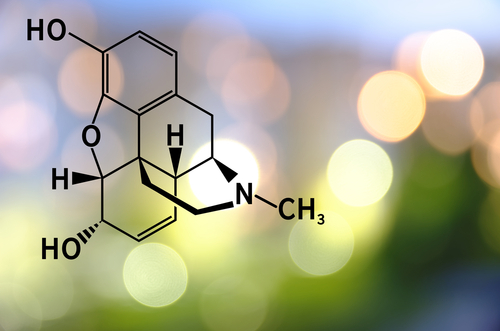 Morphine’s effects on the brain also explain why it is so popular recreationally. It not only alters the brain during the high but also creates a powerful psychological craving for the drug, which keeps users coming back for more. Additionally, because it can even be injected into the bloodstream, as well as taken as pills, it has a fast effect. By affecting the nervous system, it often creates a euphoria within the user that can be the first trigger for addiction. The feelings each user has from a Morphine high will vary from each use. There are a variety of factors that can influence the high a user has. These include there BMI, tolerance to the drug, diet, general health and dosage of the drug taken. In addition to those factors, even mood can influence the type of high a user has. But what is a Morphine high like? Many users will experience different kinds of Morphine highs throughout their consumption of the drug. Being high on this drug can often make the user feel sedated and absent to everything going on with around them. Alternatively, it can make the user feel euphoric and free. These different kinds of high, highlight the potential unpredictability. Due to Morphine functioning by affecting receptors in organs, it alters how the user feels by numbing their nerves. This creates both physical and psychological effects during and after a Morphine high. Increased desire for more of the drug – The medication is highly addictive so the individual may want more of the drug. Morphine pill highs do not only affect the user during the time the drug is in their system. They also continue to effect after the drug has exited their body. But how long does Morphine stay in system? And what are the effects of a hangover? Morphine is known to stay in the system up to 72 hours, with the high wearing off after 6-12 hours of the last dosage. After the high has worn off and the drug begins to leave the system gradually, the user will start to experience Morphine withdrawal symptoms. These withdrawal symptoms should not be taken lightly as they can be just as dangerous as the effects of the drug itself. Restlessness – The body gets used to a sedated state, and when out of that state it becomes agitated. Anxiety – Its highs may suppress stress due to the drug affecting the nervous system. However, as the drug leaves the system it anxiety comes back even stronger. Muscle pain – After the numbing of pain from Morphine dies down, muscles may become painful and sore due to nerves regaining feeling. Insomnia – The drug disturbs any sleeping pattern the user may have had. The returning agitation may also make sleeping harder. Cold like symptoms – You will feel like you are recovering from illness due to your body adjusting to life without Morphine. Nausea – The body will be attempting to rid itself of the drug, so a sick feeling is familiar. Vomiting – Some users may not just experience a sick feeling but be instead ill as the body tries to rid of the drug. Sweating – As your body rids itself of the drug, symptoms of illness will be frequent. The body will sweat to stay cool during these symptoms. Increased desire to drink – Medication use sedates the user so much they can become quickly dehydrated. Withdrawal symptoms like sweating also mean you have the drink more during a Morphine hangover. Increased desire to eat – Similar to drinking, a user may need to replenish to heal adequately. Cravings for the drug – As an opioid, this drug is highly addictive, and users will usually crave more of the drug during withdrawal. Morphine hangovers tend to occur to anyone who stops using the drug. However, they are far worse for long-term users who have a dependency to the drug. Furthermore, in those cases, the user has often taken more of the drug due to tolerance. This makes withdrawal more severe. Morphine is an incredibly addictive drug. Whether you have taken it for medical purposes or recreational purposes, it can be a challenge to deal with the effects and after high effects of the opioid. Due to the after high effects being so potent, it is important to always have the ideal and most suitable support available for you. If you are dealing with the after high effects of Morphine, then you should always ensure that you do not try to deal with them alone. There is a range of support out there, from inpatient and outpatient facilities to group therapy, where you can gain an understanding of how to deal with your addiction, alongside fellow addicts. Whichever method you decide on, the after high effects will be considerably easier to manage with support and help from others. If you or somebody you know is experiencing the negative effects of a Morphine high then you should ensure you have medical assistance and supervision. For any information on where to get help or the most suitable form of help for you, please call our hotline at (888)-459-5511.